A port city is a place where cultures and histories collide, where goods and ideas are imported and absorbed into the local bloodstream. Not entirely un-coincidentally, Canadian band Port Cities is the musical equivalent; a melting pot of the individual talents of Nova Scotia-based artists Dylan Guthro, Carleton Stone, and Breagh MacKinnon. 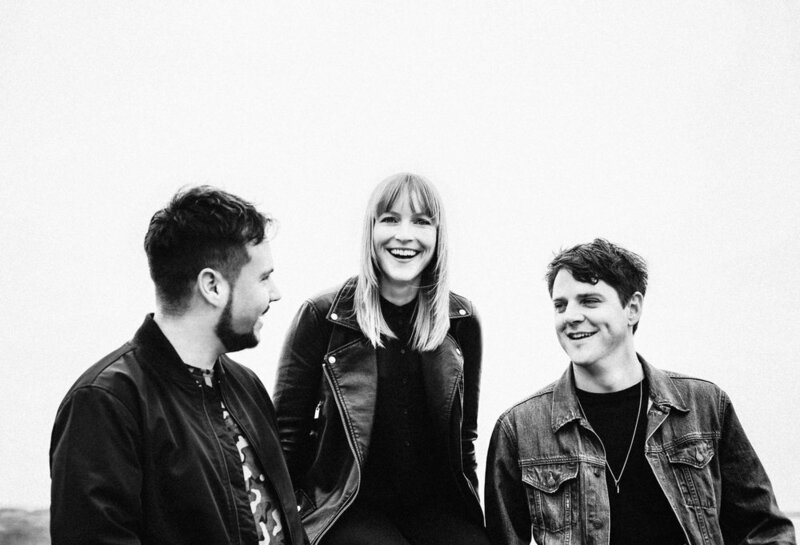 Port Cities’ 2017 multi-award winning debut, recorded in Nashville, is a collection of sparkling, rootsy pop tracks that showcase the trio’s devotion to songwriting. In 2018, that memory-making mix of unforgettable melodies and high-flying harmonies continues to evolve in exhilarating directions with a sharpened brand new sound. The band’s evolution most recently revealed itself through the graceful track “Idea of You,” an unflinching tribute to the blood-pumping power of lust and its profound effect on the romantic imagination. Written and recorded completely in-house, with Guthro helming the production in his bedroom studio, the song’s minimalist pop aesthetic is dripping in blissful, expansive waves of synth and punctuated by sparse percussion. The nimble dynamism of MacKinnon’s smoky jazz-indebted delivery leads the rising voices toward the stratosphere.